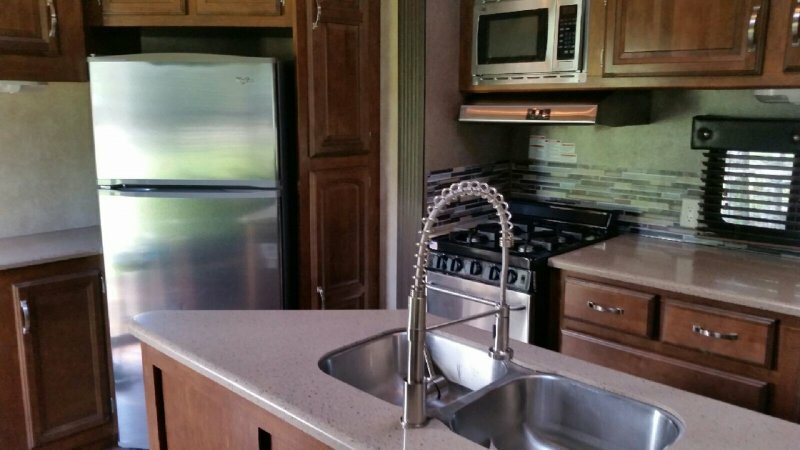 Destination RV on site at Crystal Isles RV park, Crystal River, Florida. We keep our RV annually in Crystal River but will not be able to use it this winter. 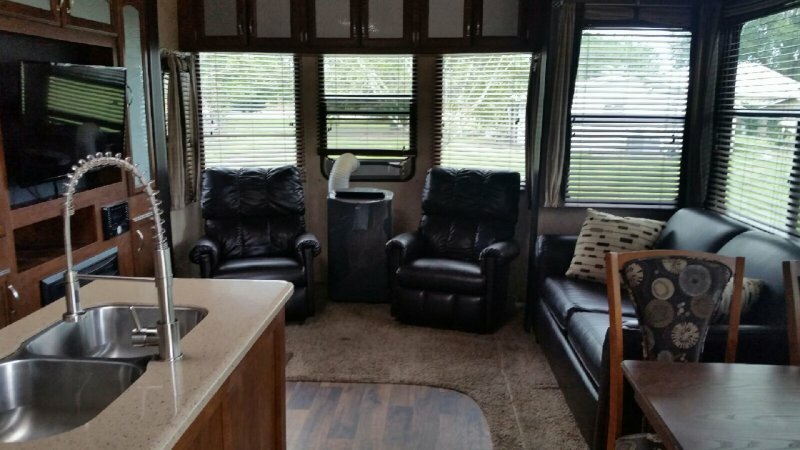 This is a great opportunity to try out the RV life in comfort, on a great lot, in Crystal River. 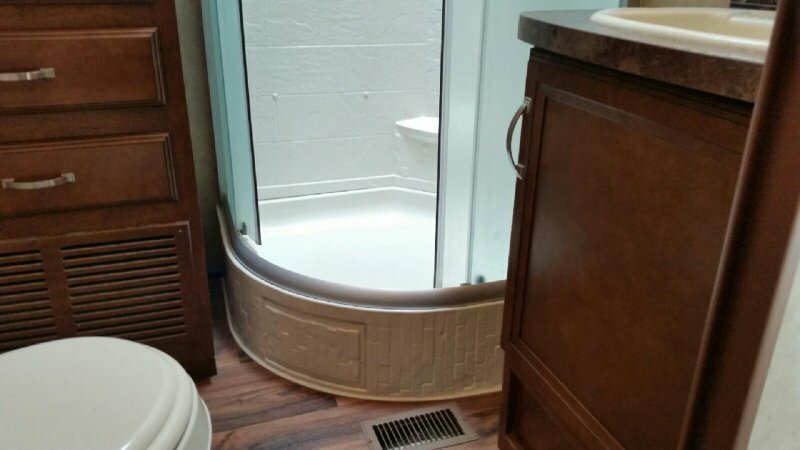 Steps away from boat ramp, bathrooms, pool, recreation center, etc. All you have to do is show up and get the key. All linens, cookware, dishes, silverware and coffee maker with filters provided. Hooked up to water, cable, electricity and ready to go. 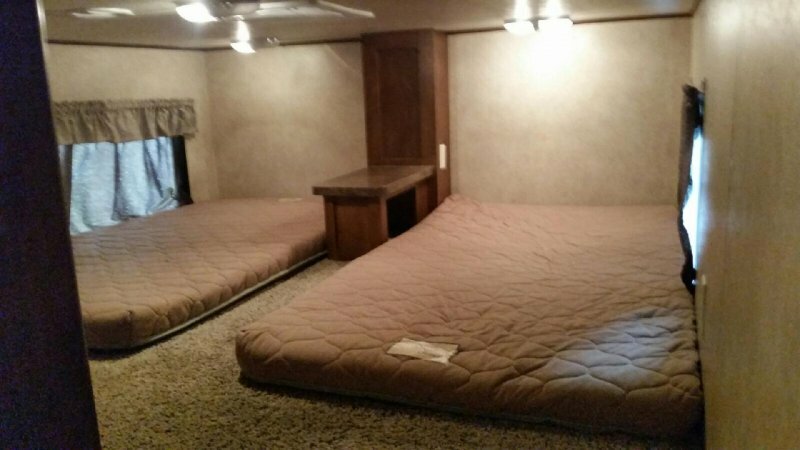 Queen size master bedroom, bathroom with full shower, stacked washer/dryer, full size fridge, gas range, microwave, electric fireplace w/optional heat, two TV's (bedroom and living room), two A/C units, patio furniture, charcoal grill and much more. We love pets, as long as they are potty trained and will not eat the furniture. 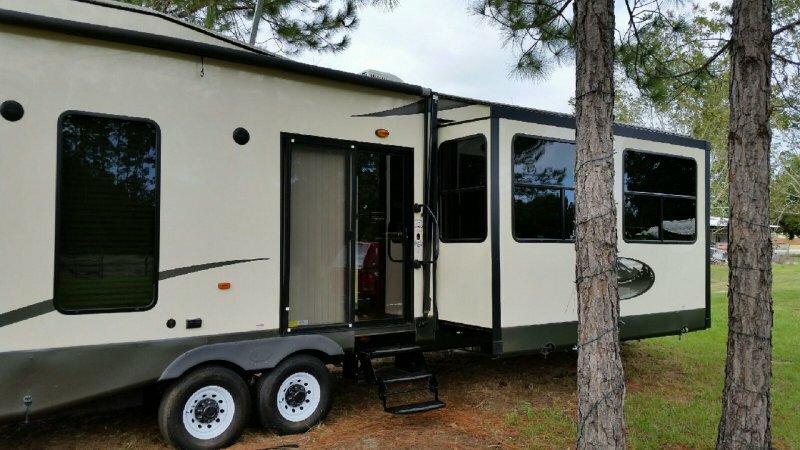 Description *****RV is in place and not to be moved***** Destination RV on site at Crystal Isles RV park, Crystal River, Florida. We keep our RV annually in Crystal River but will not be able to use it this winter. 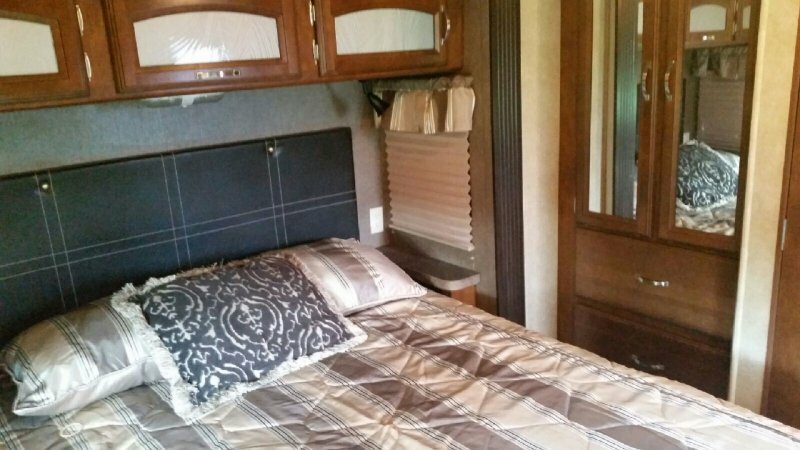 This is a great opportunity to try out the RV life in comfort, on a great lot, in Crystal River. Steps away from boat ramp, bathrooms, pool, recreation center, etc. All you have to do is show up and get the key. All linens, cookware, dishes, silverware and coffee maker with filters provided. Hooked up to water, cable, electricity and ready to go. 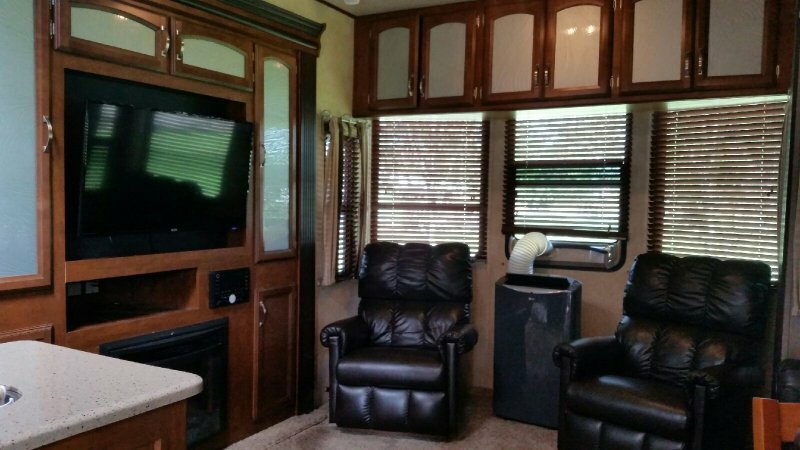 Queen size master bedroom, bathroom with full shower, stacked washer/dryer, full size fridge, gas range, microwave, electric fireplace w/optional heat, two TV's (bedroom and living room), two A/C units, patio furniture, charcoal grill and much more. We love pets, as long as they are potty trained and will not eat the furniture. Utilities -Electricity - Cost deducted from the $500 deposit. Bill will be provided on receipt. -Propane - Owner provides 2 filled 30lb propane tanks. Refill facility nearby for purchase of additional gas. -Wireless Internet can be purchased through outside company on property. 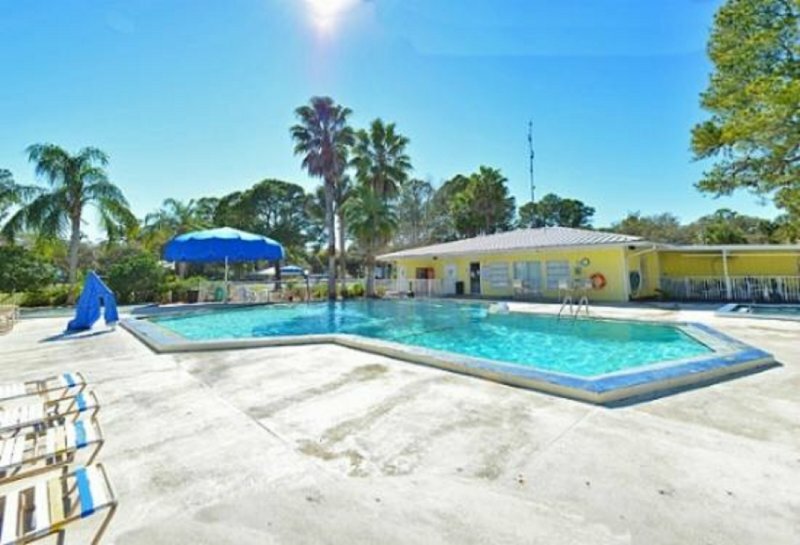 RV park has nice boat ramp with access to Crystal River and into the Gulf of Mexico. Pets are welcome as long as they are trained and will not chew furniture. Gated dog park only 40 yards from RV. RV is adjacent to fishing pond and steps from boat ramp. Tell them: "I saw your property on www.boatfriendly.com"